February | 2019 | Mike Lamberti, From Margate To Cleveland, And Back ! When Vinnie Russo’s name is discussed around Bloomfield and neighboring communities, the accolades are long and kind-hearted. A simple post on social media recently, regarding his improving health, elicited a bunch of responses. “Not only is Vinnie a superb referee and a good friend to myself and my brother, Sam, he’s much more than that. He’s a loving family man, an outstanding individual, a genuine and kind-hearted man who goes out of his way to hep others. Blessed to call him my friend! Continued good health Vinnie, and many blessings always ! 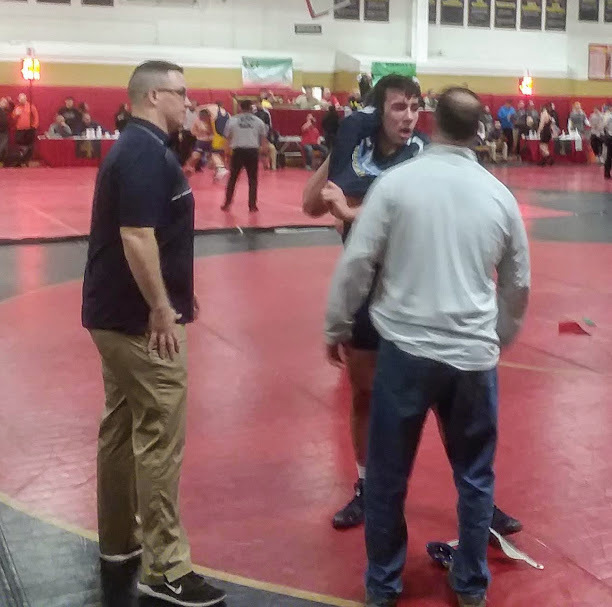 When Vinnie Russo takes to the mat to officiate a high school wrestling match, it’s a continuation of a busy schedule for a loving family man. A native of Bloomfield and resident of Cedar Grove, Vinnie and his wife of 33 years, Lorraine, have three daughters, Kandice, Mia and Shea. 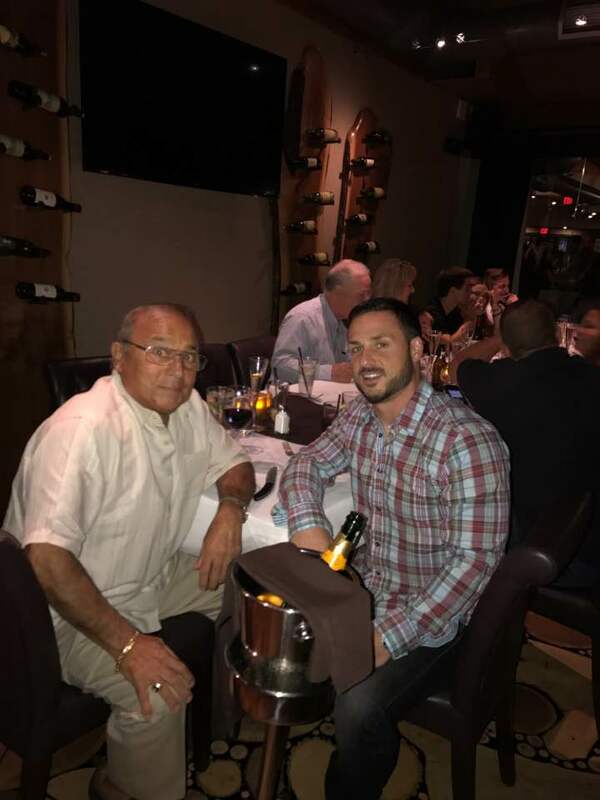 Vinnie and his younger brother, Guy Russo, himself the first state wrestling champion at West Essex High and today a long-time wrestling coach at the Delbarton School, are partners in a successful family business, begun by the Russo family’s patriarch, the late Vincent Russo, Vinnie’s dad. Eldest brother, Mark, is a successful chiropractor and himself a distinguished wrestling official. 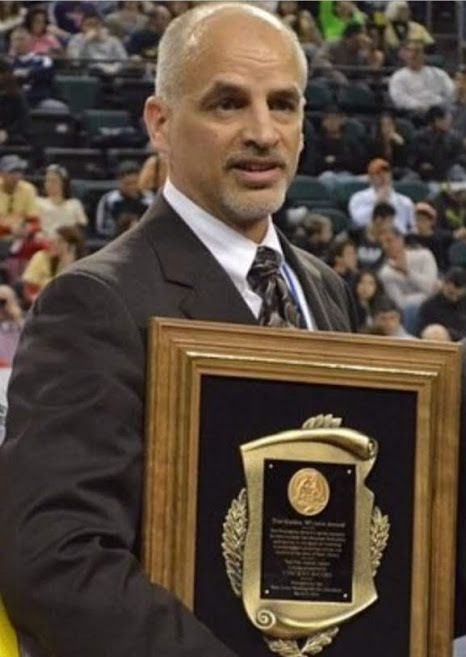 When Russo isn’t running his construction company, or officiating a match, he’s been the NJSIAA’s wrestling official assignor, and state rules interpreter, since 2009. Among his many responsibilities include the placement of every official for the state sectional and group team championship matches, as well as all 32 districts, 8 regions and the ultimate venue, Boardwalk Hall in Atlantic City for the state championships. He also handles the assignment of officials for 85 New Jersey high schools. Russo’s diligence in providing a quality product for high school officiating included the placement of numbers on the back of each official. His cell phone is constantly buzzing, from officials checking in for an upcoming event, as well as a myriad of friends and coaches checking to see how he’s doing, and that all-important reminder when it’s time to take some medication. Because, you see, Vinnie Russo, 58, considers himself fortunate to be alive and well. Vin and his wife, Lorraine, have three daughters, left to right, Mia, Kandice and Shea. Two years ago, a surgical procedure on his heart was followed by an even more serious condition, which led to his barely negotiating the kitchen floor at home, without family assistance. He lost over 40 pounds, as his pituitary, adrenal and thyroid glands all began to malfunction. He’s on a strict medical regimen now, and will be for the rest of his life. The medication has him back to good health and he’s been fortunate enough to begin officiating again, including working the NJSIAA girls regional wrestling championships, on Feb. 17. Just a year earlier, Russo wasn’t sure what was in store for him. Wresting has long been a part of Vinnie’s life. His parents began the first wrestling program for youngsters in Bloomfield when Vinnie took to the sport at South Junior High. When Vinnie got to Bloomfield High, he wrestled for coach George Middleton and assistant, Bruce Lackey. He was good enough in high school to earn an invitation to the U.S. Olympic Training Center after his senior year of high school. 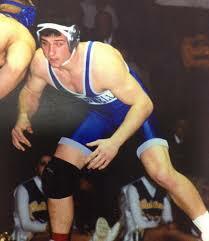 Vinnie later wrestled at Montclair State. One of Vinnie’s closest friends is former Bloomfield High wrestling coach, Sam Fusaro. The two are the same age, with Fusaro graduating from nearby Belleville High, in 1978 before landing a teaching and coaching job at Russo’s alma mater. They are inseparable, whether it be on a fishing boat, or spending time together, talking wresting. Fusaro, never one to talk about himself, returned the accolade. 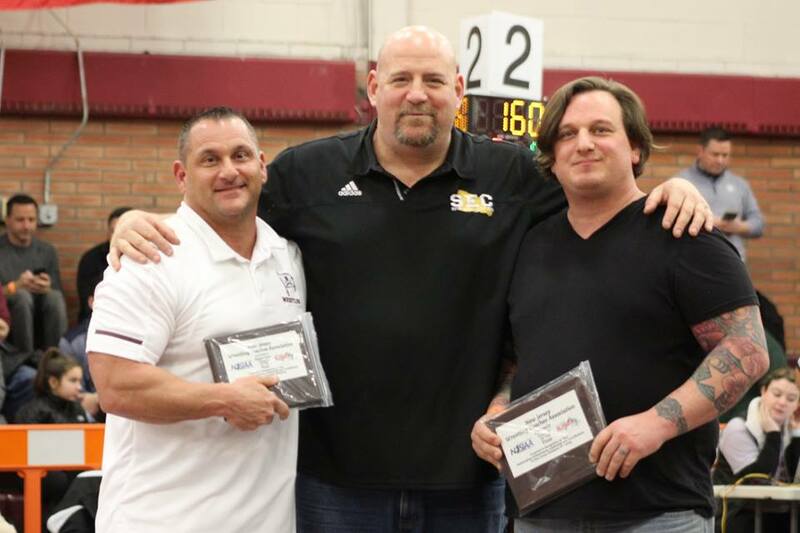 Ironically, Fusaro and Russo will be inducted together into the Bloomfield High School Hall of Fame this coming May 3, along with another BHS wrestling great, Joe Chiaravallo, a 2000 graduate and state finalist that year. Vinnie officiated his first wrestling match in 1983. Sixteen years later, he recalled vividly working the epic 1999 match between state powerhouses Phillipsburg and Paulsboro, which, he said, put him on the map. Russo has officiated 12 NJSIAA state championship bouts, beginning in 1992. Among the finals he worked was the legendary 2003 final between Jerry Rinaldi, of Lodi, and defending champion Jeff Black of Absegami, in the 189-pound championship, at Boardwalk Hall. In 2013, Russo was awarded the first Golden Whistle Award, at the NJSIAA championships, in Atlantic City, for outstanding work as an official. A year later, the name of the award was amended to the Vinnie Russo Golden Whistle Award. In 2016, Russo was named Wrestling USA Magazine’s Official of the Year, the first from New Jersey to garner the award in its 20-year history. 2019 will be another big year for accolades in Russo’s life. 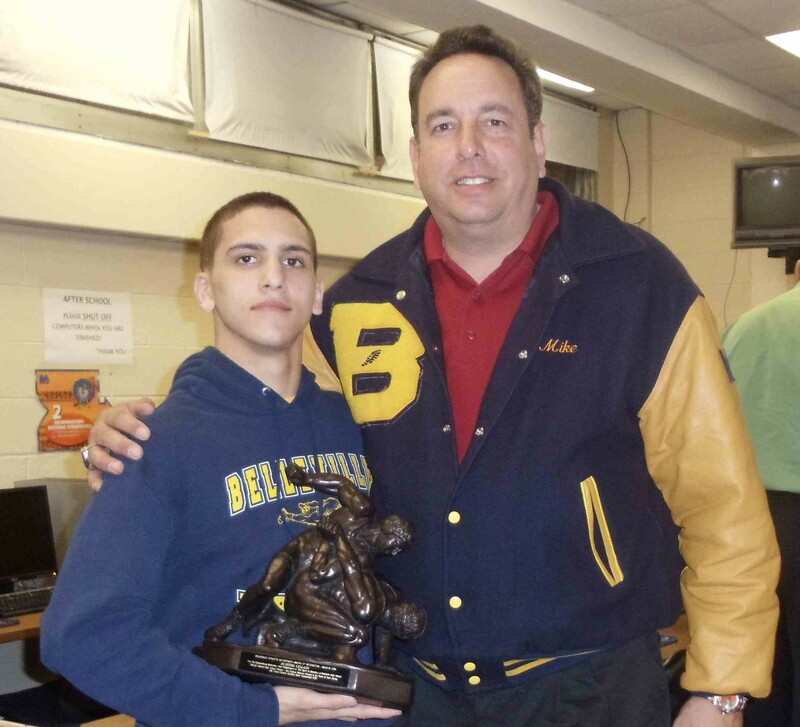 In addition to his upcoming induction in the Bloomfield High Hall of Fame, he will receive the prestigious Richard C. Mirshak Award at the NJ state wrestling finals on March 2, in Atlantic City. This summer, another Hall of Fame will open its doors when he’s inducted into National Wrestling Hall of Fame. Russo will tell you that on New Year’s Eve, 2019, he gets his biggest honor, when he will walk his daughter, Mia, down the aisle. As another wrestling season concludes this weekend, Vinnie Russo takes stock in his life, as he always does. As Rami Ratel said, Vinnie Russo is indeed, The G-O-A-T.
Justin Colon still looks like he can be in high school, but it’s been seven years since he attended Belleville High, and he’s accomplished a lot during that span. Colon, Belleville High’s all-time winningest wrestler, with 163 victories from 2008-2012, was the last Buccaneers wrestler to qualify for the NJSIAA Tournament, when he won a state medal at Boardwalk Hall, in Atlantic City, after capturing the Region 4 championship a week earlier and being named the Outstanding Wrestler in the region, in 2012, at 126 pounds. Colon qualified for the states in all four of his high school seasons. He won three Region 4 titles during his career, as well as one state medal, and to this day, is still among the top six wrestlers in the state, all time, with victories, trailing Andrew Campolattano (175), Anthony Ashnault (170), Quinn Kinner (169), Michael O’Malley (168) and Frank Cagnina and Joe Heilmann (164). 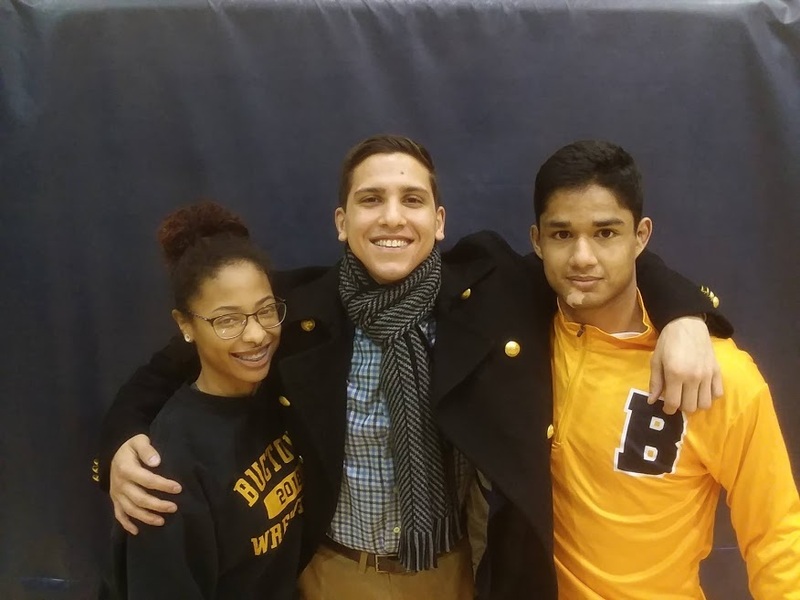 Justin’s older brother, Filiberto Colon also had a tremendous career at BHS, from 2004-2008, winning 156 matches, as well as three state medals, four county and district titles and one region championship. Like Justin, Filiberto qualified for the states for four straight years. 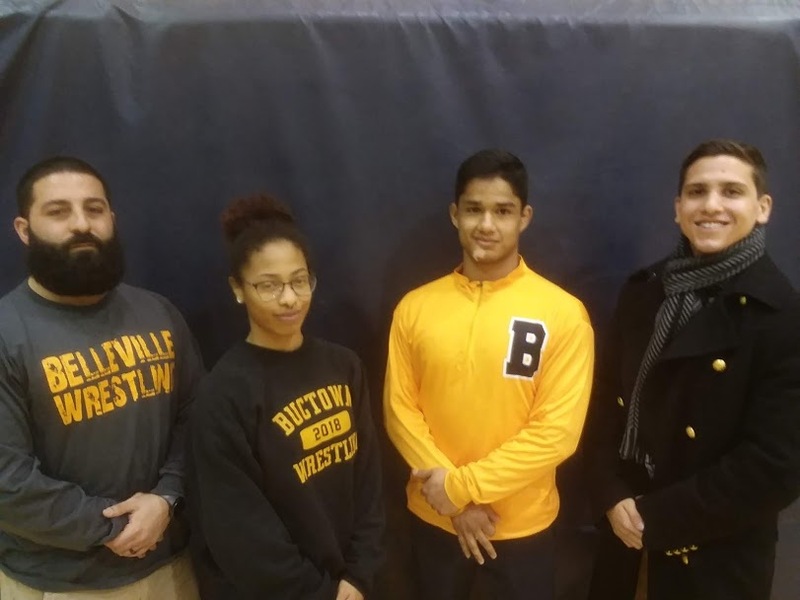 Justin Colon returned to his high school alma mater on Feb. 26, to say hello to the first two Belleville wrestlers to qualify for the state tournament since he did it seven years ago. 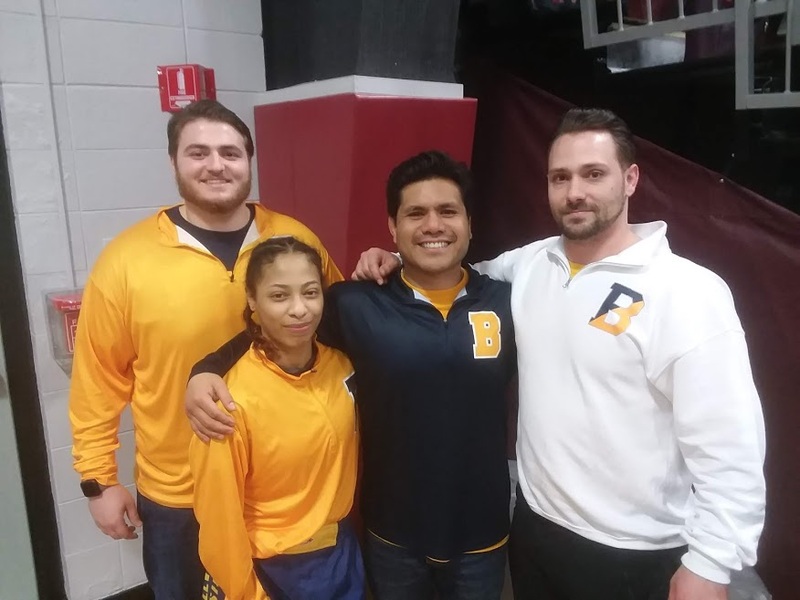 David Guerra finished second at Region 3, on Feb. 23 and Alisa Safforld will compete at the states in the first year of wrestling for females, as she finished second in her weight class at the regions on Feb. 17. Having qualified in all four years of high school for the states, which is quite an accomplishment in itself, Justin knows what it’s like to be under those bright lights at Boardwalk Hall, especially for the first time. Belleville head coach Joe Pizzi was proud to have Justin return to speak to Safforld and Guerra. Colon had an excellent collegiate career, at Johnson & Wales University. He was 59-30, with 17 pins, 91 takedowns, 80 reversals and 49 escapes. Colon noted the tremendous strides Safforld and Guerra have made. Safforld and Guerra took a few minutes to talk about some of their favorite moves with Colon. Reid Colella’s day on Feb. 23 began with a hard-fought 3-1 victory in the 170-pound Region 2 semifinals, at Mt. Olive High. Colella would have to wait about four hours until his title bout against top-seeded Michael Conrad, of Montvale. And for a majority of that time, he sat in the stands, relatively alone, just staring out onto the mammoth floor, as numerous bouts were being contested over eight mats, and then eventually, four. When Colella finally got back on the mat, it was all business once again, with the same result as the semifinal, a 3-1 victory. 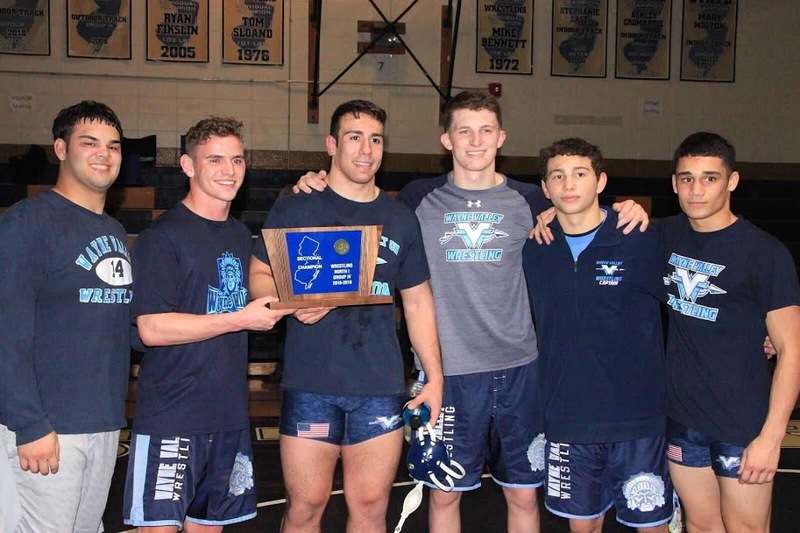 It was the first regional championship for a Wayne Valley wrestler in five years, since Tyler Hrycak won a crown and eventually was one of three Indians to earn a medal at the NJSIAA championships, in Atlantic City. The win improved Colella’s season record to 37-1. 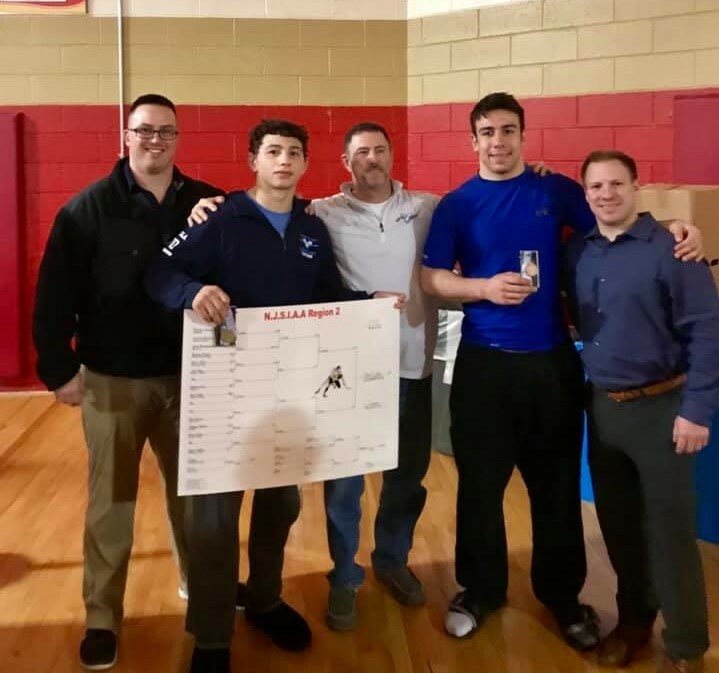 For the second straight season, Colella and Nick Trani were headed to Boardwalk Hall, in Atlantic City, for the state championships, which began on Feb. 28 and concluded on March 2. Trani earned his third straight trip to A.C. by finishing third at 220 pounds, in the region. After losing a close bout for his first loss of the season in the semifinals, Trani defeated Passaic’s William Rozembersky, 6-1, to assure himself an appearance in Atlantic City, then defeated Christopher Cherry of Mt. Olive, 9-3, to clinch third in the weight class. That finish should assure Trani a good seed for the states, with his 39-1 record, as well as a county and district championship. Trani was satisfied with his performance. It was also a record-setting weekend for Trani, who became the school’s all-time winningest wrestler with his 131st victory in the final bout at the regions. Trani surpassed the record set by Hrycak in 2014. For Colella, a second opportunity to wrestle in Atlantic City will be a vast difference from 2018. 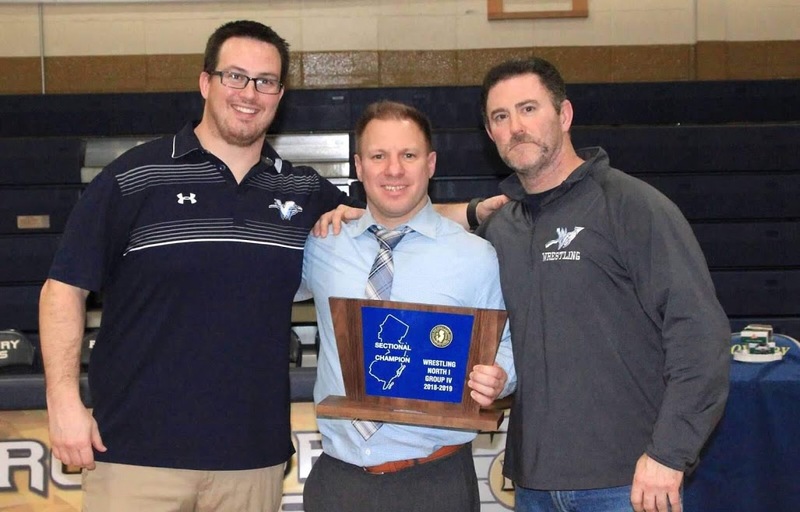 Wayne Valley coach Todd Schroeder was pleased with his team’s effort at the regions, and for the entire 2018-2019 season. “I was hoping one or two more kids could have made the trip to Atlantic City, but everyone gave a tremendous effort in a very tough district and region,” said Schroeder. “This team won a state (sectional) championship and three regular season tournaments. Can it be that it was all so simple then, or has time rewritten every line? If we had the chance to do it all again, Tell me, would we? Could we? I’ll never forget. It was Jan. 23, 1981, a Friday night. I’m in a backyard, playing the basketball game, H-O-R-S-E, with this high school freshman basketball player. Our first game was around 10 p.m. Like I said, this was January, in Belleville, NJ, not exactly the warmest time of the year. But we didn’t care. On occasion, a family member of the freshman basketball player would pull into the driveway, say hello and go inside the house, while the marathon games continued. Jennifer Apicella and I must have played 50 games of H-O-R-S-E that evening, (I probably lost 47 of them) on her legendary driveway/basketball court. The games spilled into the early hours of Jan. 24. The sound of a bouncing ball on the macadam, or one of us keeping a verbal score of a particular game, was usually transfixed by laughter, or a few bad words, usually prompted by a good shot, or a missed layup. Suddenly, from the upstairs window of Jenny’s house, came a voice. “Do you two know what time it is?”. Memories light the corners of my mind, Misty water-colored memories, of the way we were. Scattered pictures, of the smiles we left behind, smiles we gave to one another, for the way we were. Sure enough, Eileen Apicella, Jenny’s mom, was 100 percent correct. So, I headed home, which was all of a five-minute drive. There would be plenty of more games played in that backyard over the next three years, but that night certainly stood out. Jennifer Apicella would go on to set amazing scoring records at Belleville High, including a then state-record 3,105 points, in just 100 varsity games. And through it all, Jen’s family was always there, including of course, her mom and dad, Tom. On Feb. 21, 2019, Eileen Apicella departed this life to join her husband, who had passed a few years ago. And while Mr. and Mrs. Apicella’s time on this earth have been completed, their legacy has no boundary. There were so many great times at the Chandelier, a catering hall in town which the Apicellas built, with a lot of hard work and diligence, into a classic gathering place, complete with good food and ambiance, often to celebrate a marriage, hundreds of Varsity Club dinners, the beginning of life, the celebration of a completed life, or anything else in between. And when they weren’t providing a lifetime of memories through hard work at the Chandelier, you’d see Tom and Eileen at sporting events, as all four of the Apicella children were a part of the Blue and Gold. Eldest daughter Eileen was a cheerleading captain, Jenny played hoops while older son Tom and youngest, John, were a part of some tremendous football teams. Mrs. Apicella was always in the background. She was the matriarch of the family, a wife, mother, grandmother, friend and confidant. I often thought of her as the glue. All families need that, and she did her job with class and buoyancy. You only needed to speak to her to know how she exuded respect. She was always Mrs. Apicella to me, from age 21, when I first met her, through this week. And she always will be. We talked about the NBA (she and I liked the Boston Celtics back when the playoff games with the 76ers were legendary), high school hoops and just about everything in between. She never raised her voice, always smiled and treated everyone well, while we always knew where we stood with her, which is not an easy thing to do. Mrs. Apicella’s son, John, said it best on social media. Memories may be beautiful and yet, what’s too painful to remember, we simply choose to forget. So it’s the laughter, we will remember, whenever we remember, the way we were. 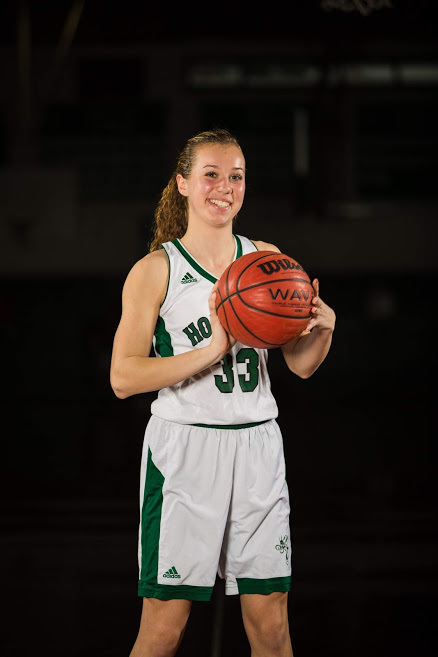 The Passaic Valley girls’ basketball teams closed out its season with a 53-49 loss to Newark Academy, on Feb. 21, in Little Falls, despite a marvelous performance by sophomore forward Taylor Hill. Hill scored a career-high 41 points, including four 3-point baskets and nine field goals, along with 11 foul shots. 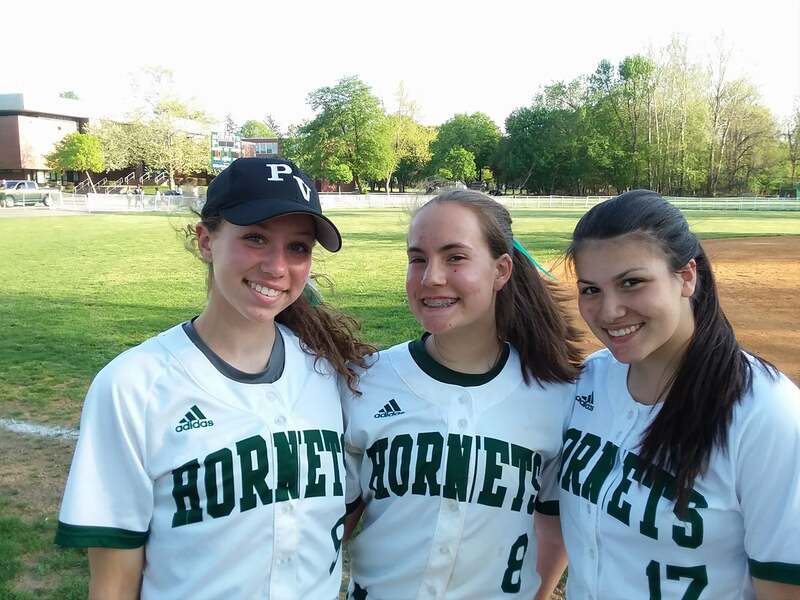 Entering the game, the injury-plagued Hornets were without senior captain Brittany Bove, who was battling an illness. With Hill taking on the scoring roll, she was often double teamed, but still managed to have a tremendous game. Passaic Valley head coach Marc Salvatore was very impressed by Hill’s effort. Hill couldn’t believe she had scored over 40 points in the game. Hill scored 19 points while Bove had 18 and Krisha Rana finished with 13 as the PV defeated METS Charter, 64-17, on Feb. 15, in Little Falls. Madison Leech scored four and Victoria Langevin and Eva Pavloska had two points each for the Hornets. The PV boys’ basketball team lost its season finale on Feb. 21 to Fair Lawn, 59-46, and finished its season with a 7-15 record. Coach Jim Holsworth’s team won its Senior Night game against METS Charter, 90-64, on Feb. 15. The Hornets were led by Steven Nitch, a senior who scored a career-high 29 points on a big night. Nitch also hit seven 3-point baskets. Brian Whitney had 16 points while Elliot Whitney and Brandon Timothy scored 11 points each. Angel Rodriguez scored nine points, Rashuan Rex had seven, Jared Irizarry scored four and Zander Timothy finished with three points for PV. 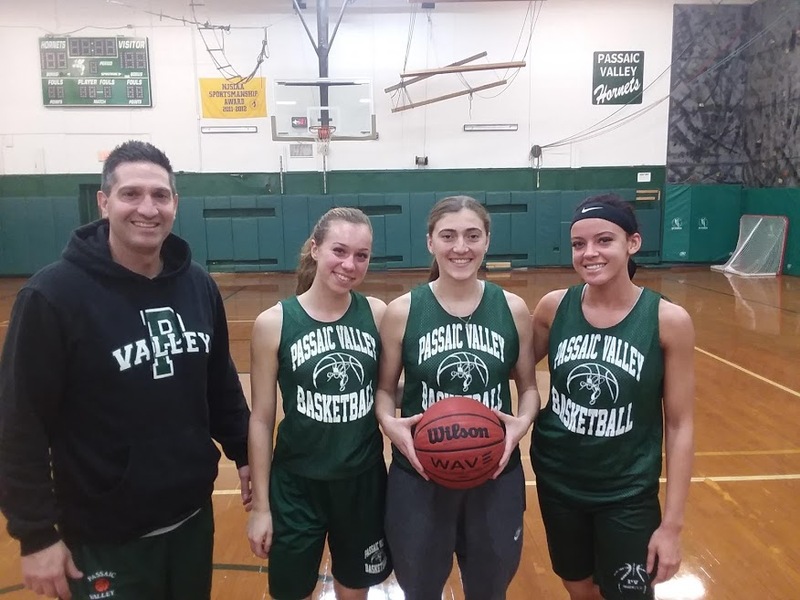 The 90 points was Passaic Valley’s highest point total since it scored 92 in a state game at Mount Olive, on Feb. 27, 2012. PV played a good game against Passaic Tech, on Feb. 19, losing 56-53, in overtime. Elliot Whitney had 20 points to lead PV while Brian Whitney scored nine and Nitch, Rodriguez and Timothy had eight points each. Passaic Valley led, 24-16, at the half before PCT rallied in the third quarter to take a one point lead. Brian Whitney had 13 points in PV’s season finale game at Fair Lawn. 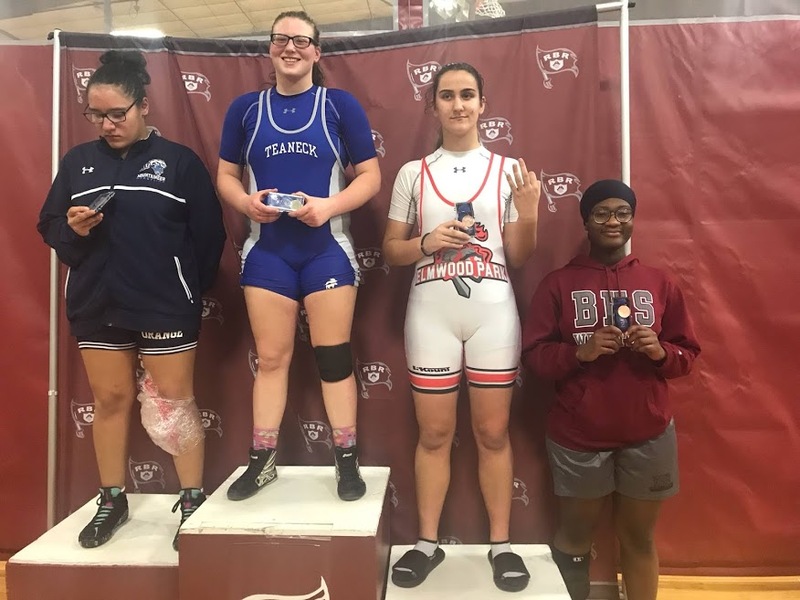 The inaugural NJSIAA regional wrestling tournament, for females, at Red Bank Regional on Feb. 17, produced a lot of tremendous performances and the indication that girls wrestling is here for good. Bloomfield High had an excellent day, as the Bengals sent four wrestlers to Red Bank, a beautiful facility in Monmouth County, and in front of a large crowd, the Bengals had a combined 8-8 record against the best wrestlers in Northern New Jersey. Bloomfield coach Ryan Smircich was very pleased with his wrestlers’ performances, as well as the entire event. It was Smircich, along with assistant coach Jason Galioto, who had put together a tremendous holiday tournament for girls wrestling six weeks ago. This is the first year that the NJSIAA has sanctioned high school wrestling in New Jersey. The top six wrestlers in each weight class, from the North and the South regions will head to Boardwalk Hall, in Atlantic City, for the state finals, from Feb. 28-March 2. While Bloomfield didn’t have a wrestler advance to Atlantic City, the team was well represented. Claire Daity finished 4-2 on the day and Noura Kakadendi was 2-2 and just missed on a berth in the states, finishing fourth in her weight class and earning a medal on the champion’s podium. Angelina Faura and her sister, Giana Faura, each won a match at the regions. The BHS boys wrestlers did very well at the District 9 championships on Feb. 16, at Nutley High. The Bengals advanced seven to the Region 3 tournament, at West Orange High, which began on Feb. 20, continued on Feb. 22 and concluded on Feb. 23. Kevin Adorno won a district title at 145 pounds for Bloomfield, as he defeated Nicholas Anderson of North Bergen, 4-0, in the title bout. Having won the district title, Adorno advanced directly to the Feb. 22 quarterfinal round of the regions. Bloomfield’s Jeff Diaz (285 pounds), Gerald VanBaelen (113) and Zachary Andruchowitz (182) each advanced to the final of their respective weight class and finished second. Jacob Febo (120), Paul Flores (132) and Javon Whitehead (220) each took third. Diaz, VanBaelen, Andruchowitz, Febo, Flores and Whitehead were all scheduled to wrestle in the regional preliminaries on Feb. 20, and if they won, would move on to the quarterfinals on Feb. 22 and an assurance of wrestling through Feb. 23. The top four wrestlers in each weight class at Region 3 would punch their ticket to the state wrestling championships, in Atlantic City, from Feb. 28-March 2. The Bengals finished third in a strong region, as Delbarton won convincingly and Livingston finished second in a nine-team field. It was also a special day for Smircich, as he was named the District 9 Coach of the Year, by his coaching peers. In his second year as head coach, Smircich led Bloomfield to a team-record 22 victories in the regular season. 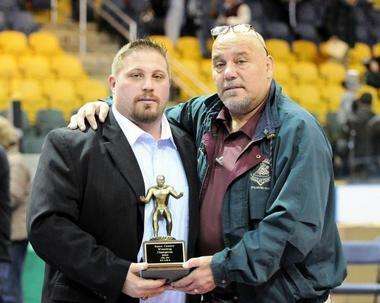 Vinnie Russo is one of the best high school wrestling officials in New Jersey. He’s also a fun-loving guy, who elicits smiles from all those who get the chance to speak with him. Russo was on hand for the inaugural NJSIAA regional wrestling championships for females, on Feb. 17, at Red Bank Regional High School. 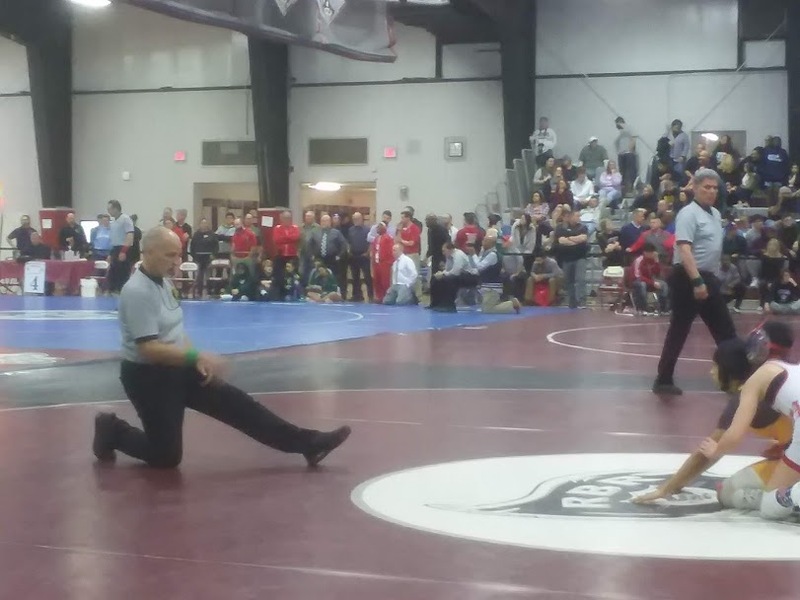 Mr. Russo is not only an administrator for high school officials, but works many a match himself, and he couldn’t have been more impressed with the tournament. With his eyes ablaze when I asked Vinnie what he thought of the day, Russo was quick to reply. Having never been to Red Bank Regional High School for an event myself, I couldn’t believe how spacious the gym was. There was plenty of room for eight mats, and with a big crowd on hand, easy maneuverability from mat to mat for the fans. The matches were fun to watch. Win, or lose, the girls hugged each other after each bout. There were bumps and bruises, laughter and tears, but most of all, a lot of appreciation for the efforts of the wrestlers. 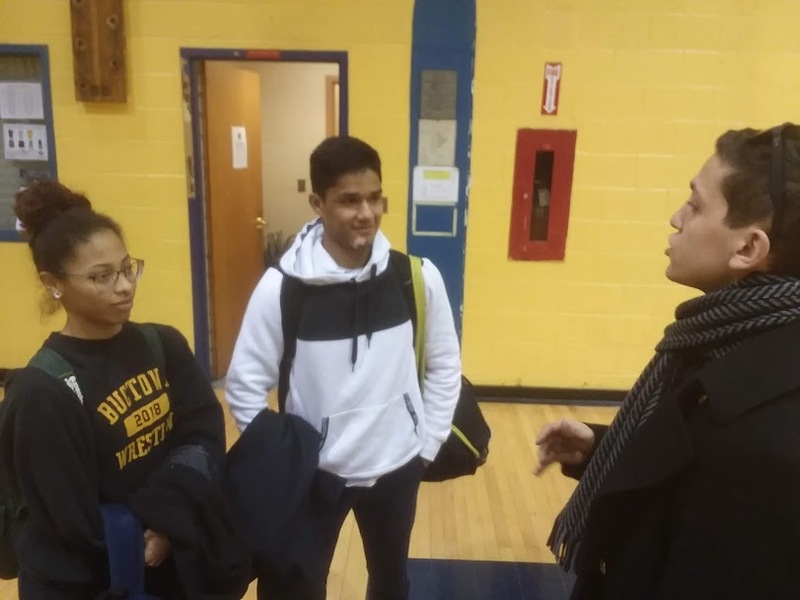 A number of coaches said how much they enjoyed working with the girls in this first year of state-sanctioned wrestling for high school females in New Jersey. The maturity of the wrestlers, not to mention the tenacity and determination was obvious, as the top three wrestlers in each of the 10 weight classes, from the Northern and Southern parts of the state, 60 in all, punched their ticket to the NJSIAA championships, which the girls will share with the boys at Boardwalk Hall, in Atlantic City, from Feb. 28-March 2. Regardless of how a wrestler does in Atlantic City, all of the girls will stand on the ultimate podium at Boardwalk Hall, when their weight class is called, and be presented a medal, from an NJSIAA official, from sixth place to first. The public address announcer at Red Bank said, before the final round of bouts, that history had been made. There was a new face of wrestling in New Jersey. Sydney Petzinger, Alisa Safforld, Randi Miley, Isabel Saire, Daniela Tacuri Andrade, Katy Ayala, Christine Gavasheli, Sheridan Torres, Stephanie Andrade, Melanie Sancho, Veronica Whitacre, Hailey Budney, Amanda Pace, Gabby Miller, Jewel Gonzalez, Donna Walker, Erin Emery, Sandra Guerrero, Kiera Hubmaster, Elise Harrison, Jazmine Aizley, Anmarie Lebron, Chlo Ayres, Johnae Drumright, Bella Serrano, Mia Bruno, Olivia Mena, Angelina Romero, Kayla Gregory, Angelina Vitola, America Garay, Emma Matera, Paige Colucci, Olivia Heyer, Diane Johnson, Madison Pesavage, Mia Lazaurs, Jordyn Katz, Joelle Klein, Sarah Mireles, Quanizja Legagneur, Julia Manolas, Rebecca Brown, Devon Kueny, Makenna Cooper, Jess Johnson, Brandi Rado, Katherine Bott, Kerly Borbor, Kaila Mungo, Breanna Cervantes, Shannon Gulick, Najee Cuevas and Casandra Auletta. Mike Markey had just been lifted onto the shoulders of the West Essex High wrestling team, after guiding the Knights to a state sectional title on Feb. 8. Two days later, Markey’s team won the school’s first-ever Group 3 state championship. For Markey, the moment had to be surreal, for so many reasons, as he had battled back from some serious health afflictions for over a decade. And while the 36-year-old couldn’t be happier, he also had his uncle, Carmen LoRe, the man who turned him on to wrestling as a youngster, and later as a coach, on his mind. LoRe is the former Nutley High wrestling coach and successful businessman, who is currently battling health issues of his own, and requires a new lung. He’s currently on a transplant list. Carmen’s sister, the former Angie LoRe, is Mike’s mom. If anyone understands the miracle of a transplant, it’s Mike Markey. In 2002, while a student at the College of New Jersey, where he played football and wrestled, Mike received devastating news that he had Primary Sclerosing Cholangitis (PSC), a rare liver disease. It was the same illness which eventually claimed the life of NFL great, Walter Payton, ironically a childhood idol of Markey’s. PSC is caused by progressive inflammation and scarring of the liver’s bile ducts, whose cause can be from a bacterial infection, virus, genetic predisposition or a problem with the immune system. Treatment for a cure is a transplant. For three years, from 2002-2005, Markey would make regular trips to an infectious disease center, in Bloomfield, for doses of antibiotics. He also had a permanent I.V. In Sept. 2005, Mike received a liver transplant, a 10-hour procedure. But shortly after, he was back on the operating table after he began bleeding internally. For the next three years, Markey’s health struggled. He needed tubes in his upper abdomen for drainage of the liver. He had kidney and renal failure, as well as sepsis, and lost a lot of weight. In December, 2006, he underwent bile duct surgery, which was unsuccessful. While recovering, with tubes in his stomach, Mike worked hard to complete his college degree, at TCNJ and was trying to establish a career in education, and coaching. He got a break when he was hired at West Essex, as a Physical Education and Health teacher. A graduate of nearby Caldwell High School, where he had a standout wrestling career, with over 100 wins and a state medal in 2000, Markey found solace as a volunteer assistant coach with the West Essex wrestling team. Eventually, he would be an assistant to Greg Ruggiero. However, Mike’s health was still a problem. There was more internal bleeding and transfusions. Mike also had his gallbladder removed. DiPiano intervened, noting that Markey didn’t look well. A few phone calls helped Markey visit Dr. Jean Emmond, at Columbia Presbyterian, in New York City. There, Markey underwent a cutting edge procedure, in the summer of 2009, in which 50% of his liver was removed. (Remember, the liver can regenerate). The procedure helped rid Mike of the invasive tubes, which had protruded from his abdomen for the better of four years following the original transplant, and his health began to improve noticeably. Markey was able to begin working out with the West Essex wrestlers after the surgery, in his role as an assistant coach. He was on the West Essex coaching staff in 2011, when the Knights won a state sectional title and advanced to the Group 2 championship, where it lost a close match to Brearley High. Eight years later, Markey’s health is good, although he admits he doesn’t wrestle as much with the team anymore. Since 2009, he’s undergone additional surgeries, including two abdominal reconstructions, the first in 2013 and a second two years ago. After nine years as an assistant coach, Markey would succeed Ruggiero as head coach, prior to the 2017-2018 season. In essence, the two switched positions, as Ruggiero is now a valued assistant. What wrestling has meant to Markey for three decades has clearly helped him win the many health battles he’s faced for 17 years. “No question about it,” he said. “The mental and physical preparation of being a wrestler really helped me. In wrestling, you never give up, and that goes for life, too. I started wrestling in the third grade, along with my best friend, Matt Dancy. I remember my first-ever match was at Nutley, in the third grade, and I got pinned in 36 seconds. And who was there to encourage me afterward? Carmen. Mike Markey’s life was saved by some marvelous medical professionals, as well as a loving uncle, who wanted the best for his nephew and a never-quit attitude. Eleven years later, Mike is now hopeful he can be of help to Carmen. “Organ donation awareness has saved so many lives, including mine,” said Mike. “And we’re hopeful that Carmen can get his transplant, soon. Whenever it got complicated in my life, he was always there. And now here I am, coaching a state championship team, with some great kids and a wonderful coaching staff. I spoke to Carmen when I got home from the state championship match (on Feb. 10). He was so happy. It was a week to remember for the Wayne Valley wrestling team. Coach Todd Schroeder saw his team rally from big deficits in the North 1, Group 4 semifinals and championship round to capture the program’s second state crown in the last five years. Wayne Valley finished the regular season with an 18-5 record after losing to Phillipsburg in the Group 4 semifinal, on Feb. 10, in Toms River. The Indians will compete in what will be a rugged District 7, at Bergen Catholic, in Oradell, on Feb. 16. The top three wrestlers in each weight class at District 7 will move onto the Region 2 championships, at Mount Olive, in Flanders, which begins on Feb. 20, continues to Feb. 22 and concludes a day later. The top four wrestlers in each weight at all eight regions throughout the state move on to the state championships, at Boardwalk Hall, in Atlantic City, from Feb. 28-March 2. Wayne Valley’s run to the sectional championship gained a lot of steam on Feb. 6, when the Indians came back from 21-4 down to defeat Mount Olive, 37-31, at home, in the sectional semifinals. The Indians were led by Ryan Hammer and Sean Hammer, who won back-to-back matches at 126 and 132 pounds to cut into the deficit. Valley then got wins from Adam Tsay, who won a huge match at 145 pounds, by fall, after trailing for most of the bout, Elijah Lugo, who bumped up two weight classes to win by decision at 152, Nick Duncan (160), Reid Colella (170), Dan Murphy (182) and Nick Trani, who opened the match with a win at 220 pounds. 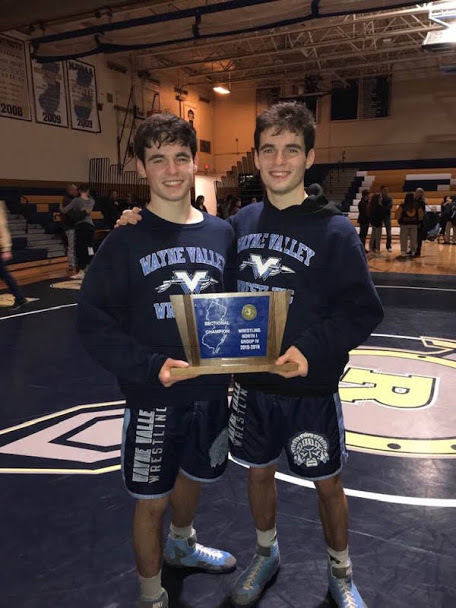 In the title bout, at top-seeded Roxbury on Feb. 8, Wayne Valley, the second seed, fell behind 16-0 before the Hammer brothers came through again, with consecutive wins to narrow the Gaels’ lead to 16-6. Lugo was back at 138 pounds and won his match, by decision, before a big pin by Matt Jimenez made it 16-15, Roxbury. 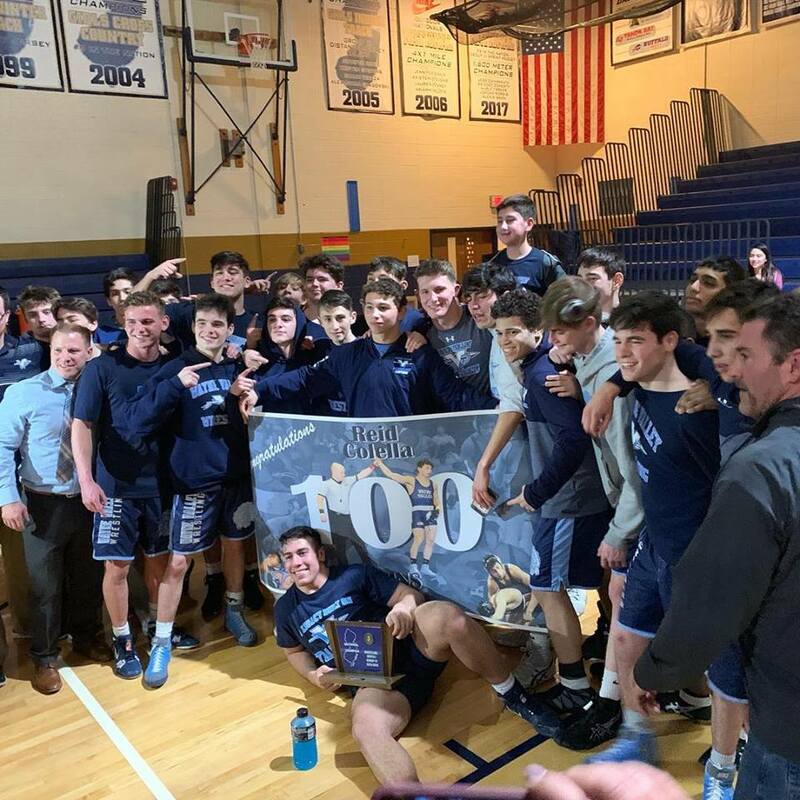 Later, with the Indians down, 25-15, Colella got a pin for his 100th career victory, at 170 pounds and then, with the score 31-21, Wayne Valley won the final three bouts to prevail, 33-31. Murphy won by decision at 195 pounds, Trani remained unbeaten with a pin at 220 and Jordan Botero wrapped it up with a dramatic victory, in four overtimes, when he escaped with 2.8 seconds left for the winning point. The win moved the Indians into the Group 4 semifinals, in Toms River, on Feb. 10. There, the team fell short to Phillipsburg, 44-16. Trani, Colella, Murphy and Botero had wins for Valley, with Colella gaining the Indians’ only fall. Getting ready for the districts means facing the state’s best team, in Bergen Catholic, among others. Wayne Valley coaches enjoying the moment. (Click on photo for larger image). Thanks to Christine Colella for the photos. When Wayne Valley fell behind in its state sectional semifinal against Mount Olive, 21-4, it needed a quick boost. The Indians got that when Ryan Hammer won by decision at 126 pounds and his brother, Sean Hammer followed with a pin, at 132. The victories moved Valley to within 21-13, and the team went on to win, 37-31. 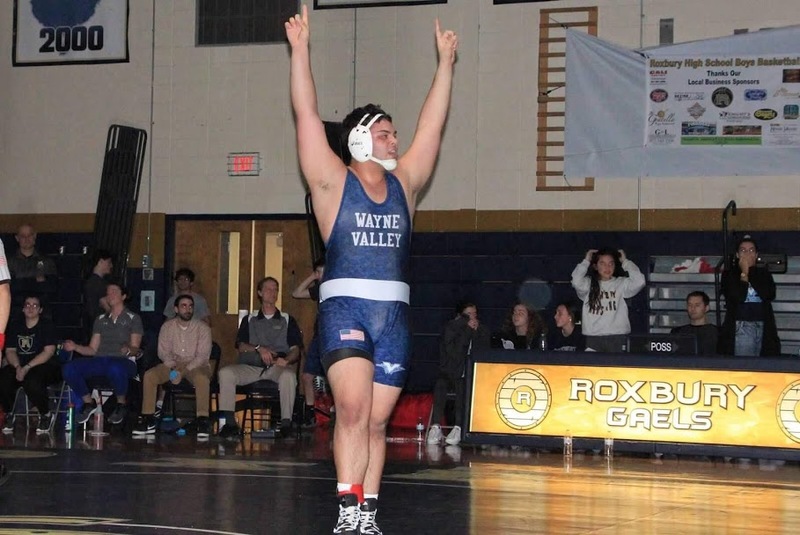 Two days later, with Wayne Valley trailing in its state sectional final match at Roxbury, 16-0, Ryan and Sean came through with wins that cut the deficit to 16-6. Elijah Lugo would follow with a win and Matt Jimenez recorded a big time pin that made it 16-15. After Valley fell behind 25-15, it never faltered, as the heavier weights came through, starting with Reid Colella’s pin at 170 for his 100th career win, and continuing at 195 pounds, where Dan Murphy won by decision to make it 31-24, Nick Trani remained unbeaten with a pin at 220 to cut Roxbury’s lead to 31-30 and the rally was climaxed by Jordan Botero winning in 4 overtimes, on a last second escape, to give the Indians a 33-31 win for the program’s second state sectional title and first since 2014. But clearly, it was the Hammers who put their team in position to win, both in the semifinals and championship rounds, with determined efforts. 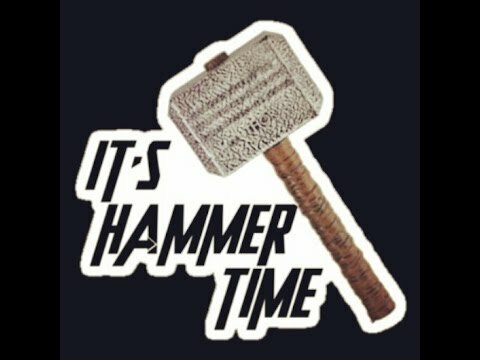 It was, for sure, Hammer Time, I and II.